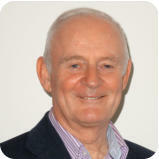 Ken has over twenty years’ clinical experience working in Irish mental healthcare organisations and private practice. He works with people of all ages from 12 years upwards, including individuals, couples and families. He has extensive experience working with people with depression, anxiety and self-esteem issues. He works with people who are undergoing difficult life circumstances such as bereavement, separation and loss, and also with couples experiencing relationship and parenting problems. Ken has a special interest in the therapeutic treatment of suicidal ideation and deliberate self-harming behaviours. Research has found that the practices of meditation, mindfulness and body relaxation exercises can complement self-care programs and provide positive mental health benefits. Ken is skilled in these practices and offers them in his therapy work. Therapy begins with a comprehensive assessment followed by an explanation of the treatment process. Collaboration and a commitment to working together are established. The therapeutic approach is person-centred and solution focused including cognitive behavioural therapy (CBT). Learning to effectively manage one’s own mental health and wellness are vital parts of the psychotherapy process. Not taking any new referrals.